Disclaimer: I was provided with products to test out for my honest opinions. Your views may differ! 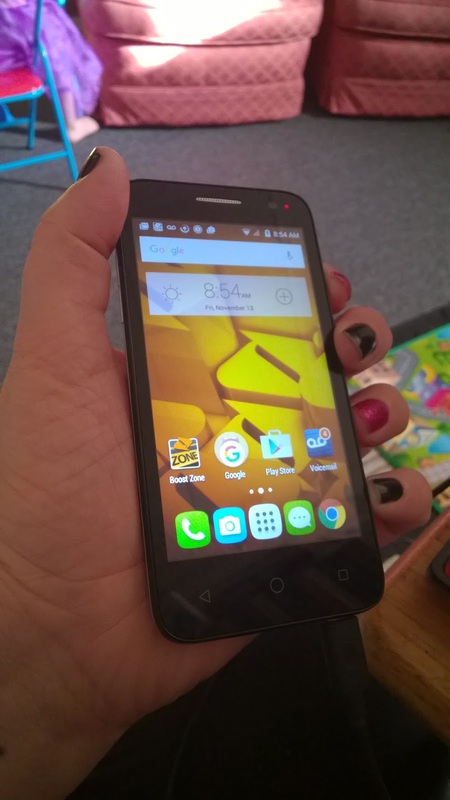 ALCATEL ONE TOUCH ELEVATE on BOOST MOBILE! 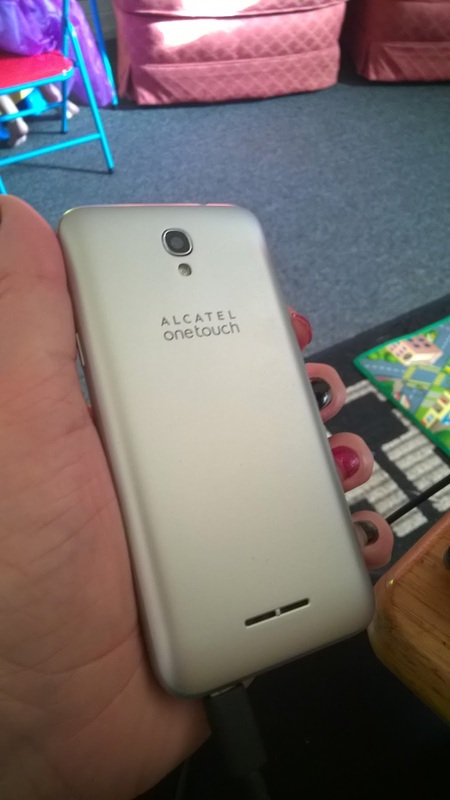 A lot of people will be looking for a new phone, this Christmas and the Alcatel One Touch Elevate has been put to the test in our house for the last month and I am happy to suggest it as a phone that is both affordable and very user friendly! We have been connected with Boost Mobile on zero contract, which means updating the phone is easy as a quick payment as you go along and no panic attacks when you want to cut out of a current plan! This particular phone has Android Lollipop 5.1 operating system, with a 4.5" touch screen display and a decent 5mp camera, which [with 8GB ROM /1GB RAM] can hold a fair amount of photos and data even before you put in a microSDHC card! The Alcatel One Touch Elevate has a 1.1GHz Quad-Core Processor and runs good speed and wont' slow you down! Besides being a great starter phone, I personally like that it isn't huge, does everything I need, has covers available to spruce up the look and feel as you desire and the connection and service from Boost Mobile is backed up by some great customer support. Boost Mobile also offers great low-rate international calling, which is beneficial to me as I do call out of state more frequently than in-state, and I haven't had a dropped call while using this phone, unlike a previous service provider. With all of its classic features, smooth looks and smart service, this is a phone I would be happy to give as a gift, this year, and that is what puts it on our Holiday Gift List, this season, and there is time to pick one up before the big day! Check out the Alcatel One Touch from Boost Mobile, HERE! You can also keep an eye on my Holiday Gift Guide at the above tab and follow on social media with #MGBHGG! Stay connected, this season, with the Alcatel One Touch Elevate!